"I highly recommend Lincoln Park Podiatry and Dr. Young for any foot pain or problems." "Dr. Young is the best podiatrist I have ever found." "She is a very caring professional who obviously loves her work and her patients. " "Dr. Young was caring, listen to me and diagnosed the problem correctly from day one." "Dr. Young epitomizes quality care, professionalism, and excellent customer service." "Dr. Young was so knowledgeable and kind. Great experience." 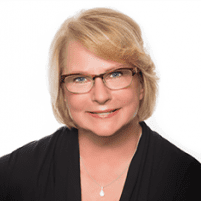 Dr. Debra Young is an experienced and well-respected podiatrist who is residency trained and board certified by the American Board of Podiatric Surgeons. She has a staff of dedicated professionals at Lincoln Park Podiatry with an office on the north side Chicago communities of Lincoln Park/Lakeview, Illinois. Dr. Young is a foot and ankle surgeon who is passionate about preventing and treating foot problems to eliminate the need for surgery whenever possible. She earned her Doctor of Podiatric Medicine (DPM) degree and completed her residency program in Chicago. Along with seeing patients at her busy medical practice, she is also a member of the staff at St. Joseph Hospital. Contrary to the notion that you may need to just to live with pain, Dr. Young believes that foot discomfort is not normal and should not be accepted as an ordinary part of life. She focuses on her patients’ lifestyles as well as the demands of their jobs as she designs treatment plans for painful podiatric conditions such as plantar fasciitis, bunions, neuromas, and other issues. As part of a comprehensive healthcare program, Dr. Young helps her patients choose footwear that protects the complex structures of the foot and ankle during work, sports, and leisure time. She also makes recommendations for incorporating proper nutrition and adequate exercise into a daily routine. Dr. Young’s goal is to help you enjoy an active life, and she firmly believes that healthy feet are the foundation for whole body health and wellness. We accept only PPO insurance plans. Below is a short-list of just some of the plans we accept. We also have a reasonable self pay option for services not covered by insurance. Please contact our office if you do not see your insurance provider listed below. "Dr. Young is amazing!!! She is very professional, prompt and courteous. Office staff is awesome :) Definitely worth the 30 minute drive." "Dr. Young's professionalism and down to Earth manner were more than impressive. After a month of hobbling around and not getting any better, I was "cured" in 1 day." "Dr. Young is one of the most professional doctors I've ever had and she goes out of her way to treat the patients with the most respect and dignity." "She and her staff have great bedside manner, and I'm very happy with my results and overall experience at Lincoln Park Podiatry." "If you want a dedicated, experienced and highly friendly and professional podiatrist, look no further than Dr. Debra Young. " "I will recommend Dr. Debra to anyone and everyone that needs help with their feet or toes. I wish I could give her a thousand stars!"